March 12, 2018Comments are closed. 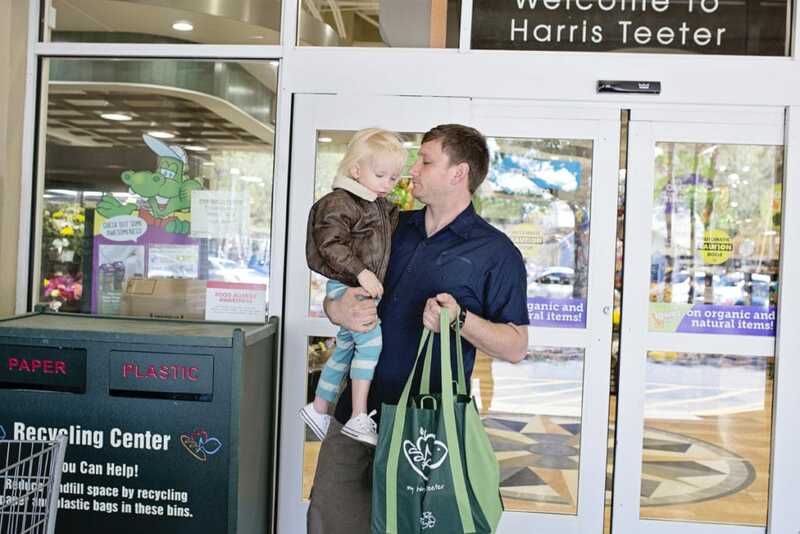 This post was sponsored by Harris Teeter Organics, but we really do shop and love our local Harris Teeter Grocery Store. So all opinions are my own. 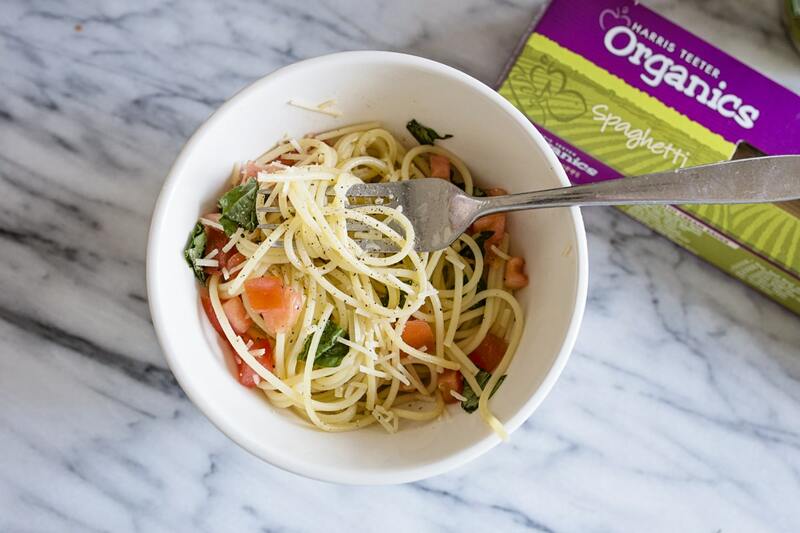 Why do you prefer organic? Why eat organic? 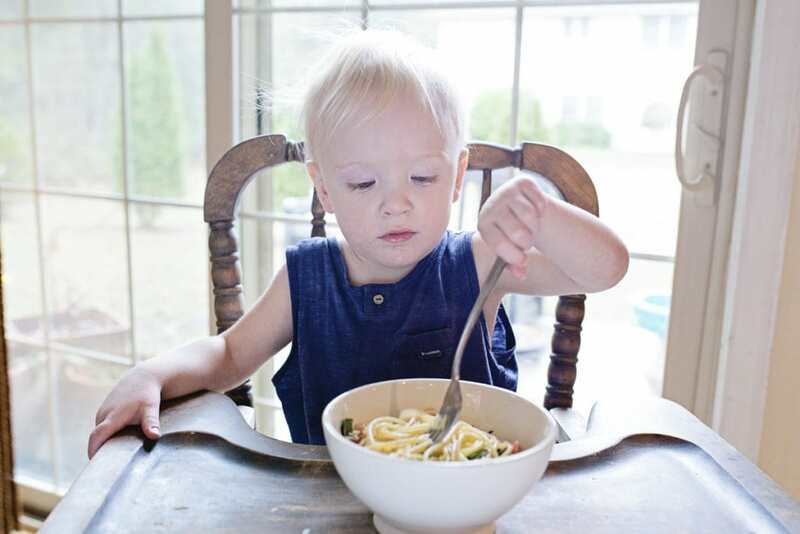 Why do you feed your family organic? Why should you eat organic foods? What is the difference between organic and non-organic foods? Are organic foods more expensive? Families everywhere are asking these questions. I’ve got some answers for you! 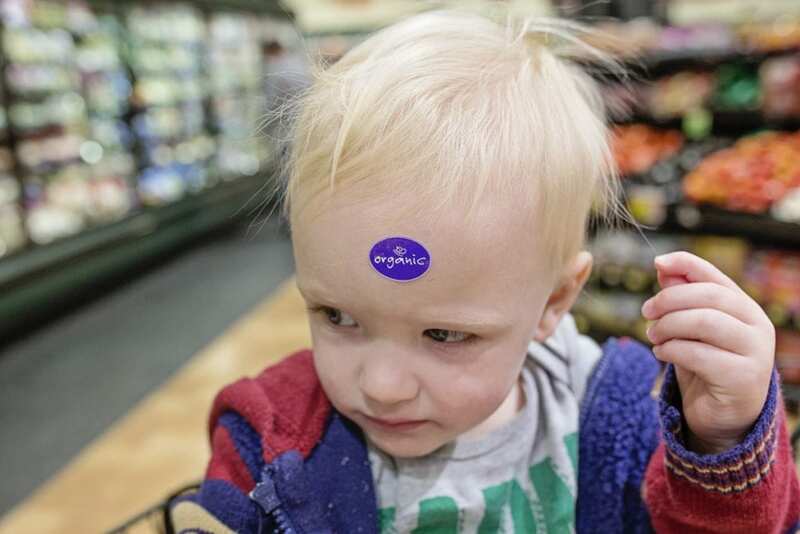 Our family prefers organic foods. 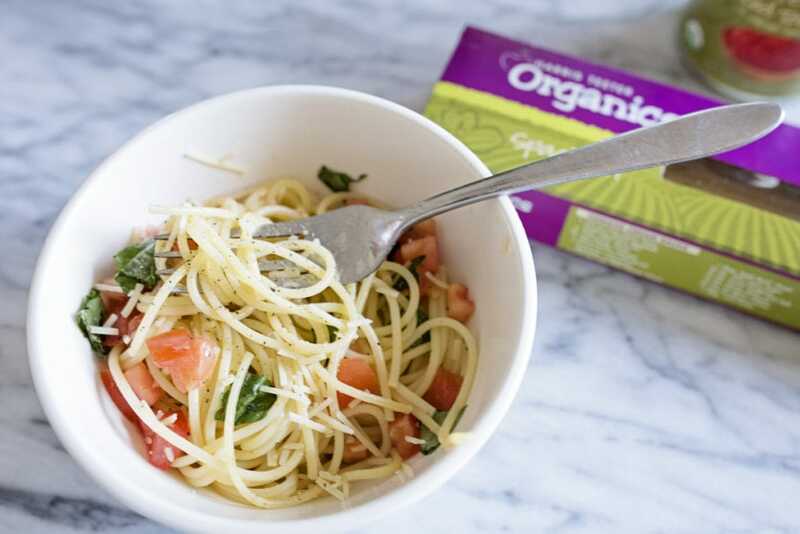 You can’t always choose organic, but with Harris Teeters Organic selection – you can more often than not. 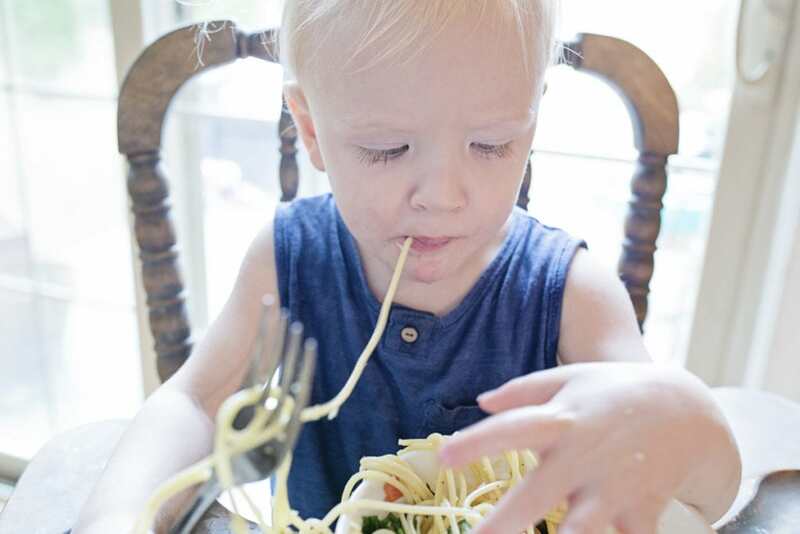 I partnered with Harris Teeter to tell you more about how you can easily make the switch to a healthier organic meal plan for your family. 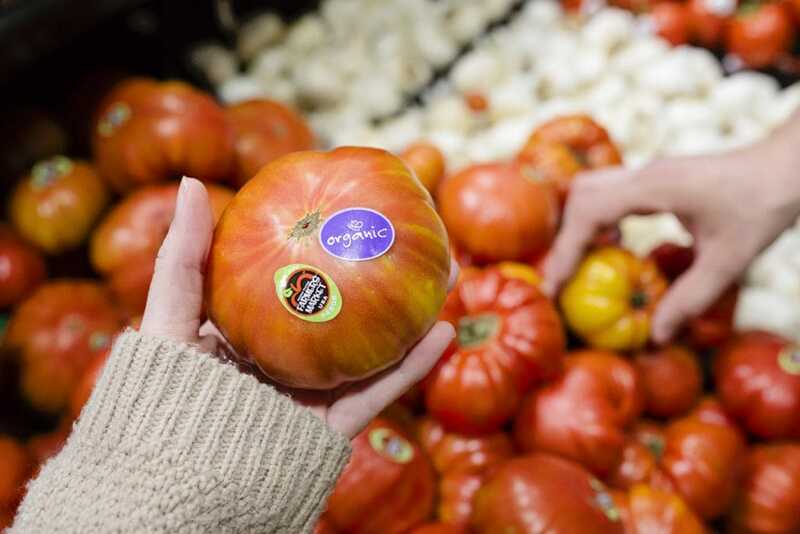 Harris Teeter Organics also works with your local organic farming community. I love buying from my neighbors! In some cases and some grocery stores yes, I’m not here to lie to you. 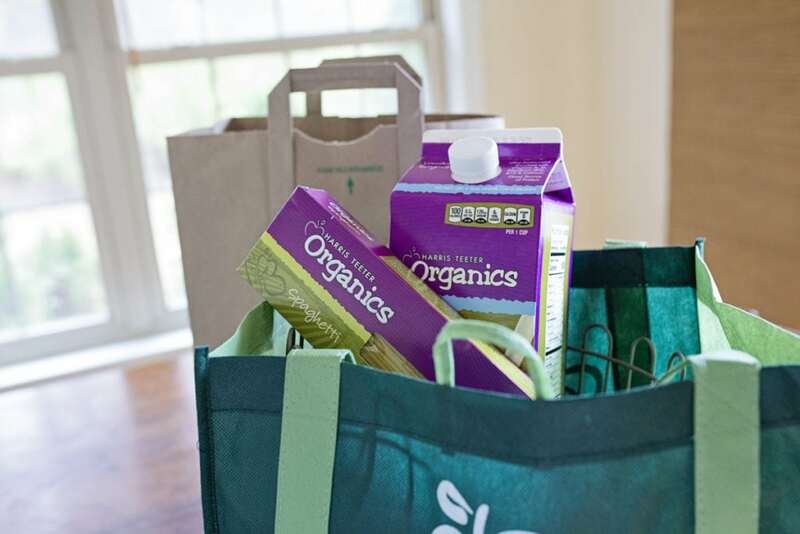 But Harris Teeter Organics store brand is affordable and with over 351 organic products – you can feed your family organic on a budget. It’s Monday, and Mondays are wild at my house. 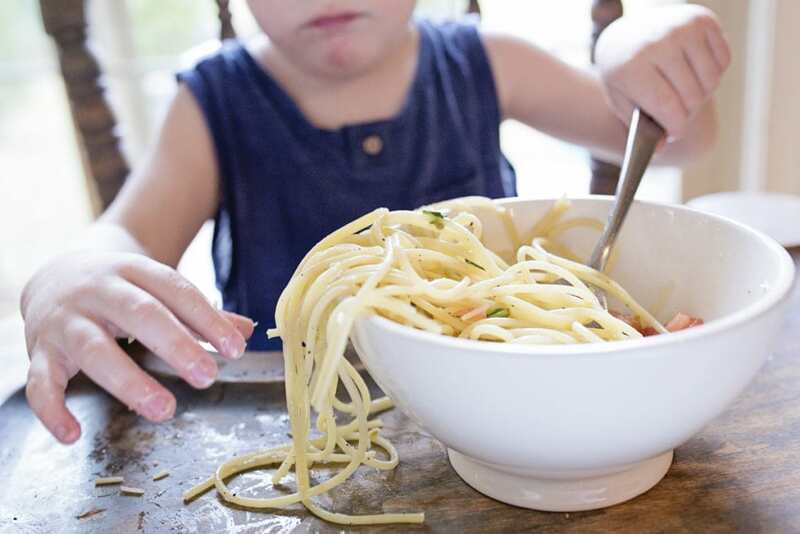 This is an organic traditional meal that you can feed your family in about 15 minutes. It’s also meatless, so you Meatless Monday friends can follow along! Basil, Tomato, Garlic and Cheese is my favorite flavor combination. 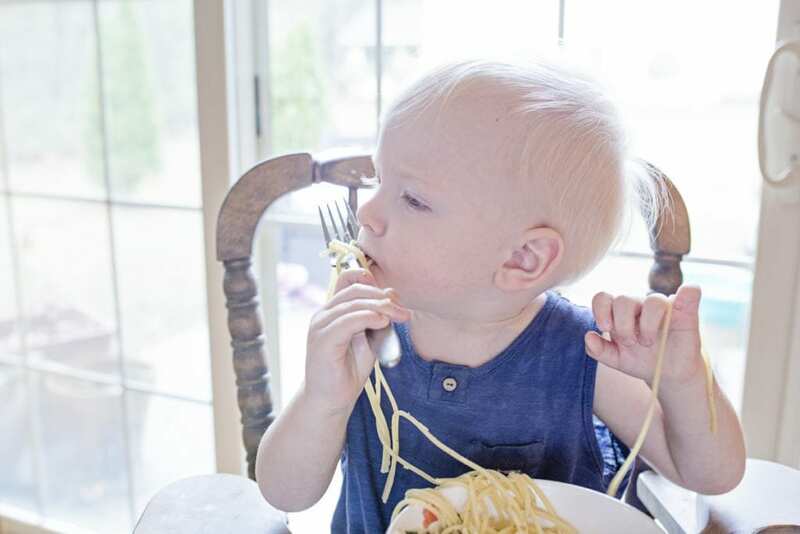 And our family loves pasta! Matt loves to add a fried egg to his for that extra creaminess factor, totally up to you! Cook your Pasta, follow the directions on the box. 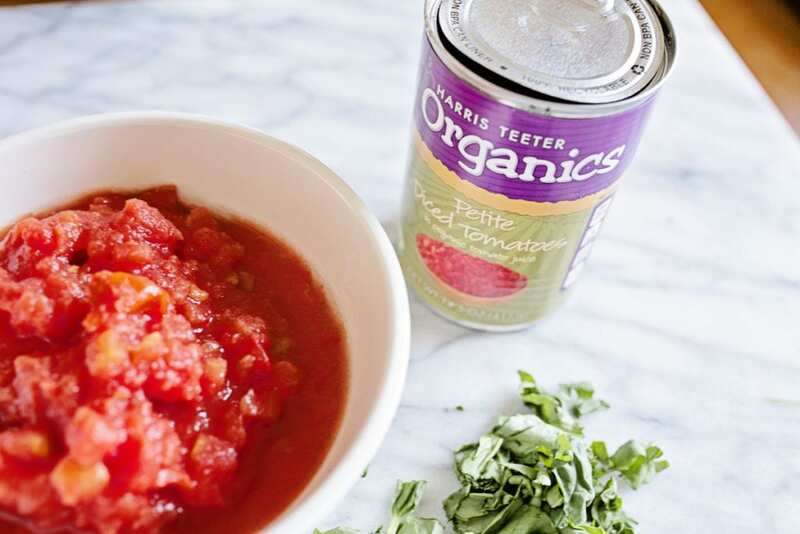 Dice your garlic and sauté with the can of diced tomato in the Olive Oil. 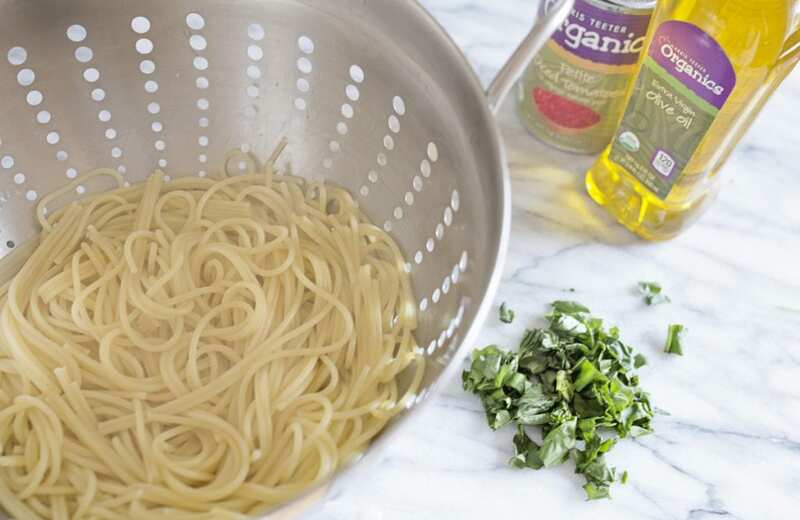 Toss in the cooked pasta into the pan. Add the basil, cheese, salt and pepper. Serve. Such an easy wonderful meal. Serve with a salad and a loaf of garlic bread! So in conclusion (because we are super fancy), this meal was affordable, easy, healthy and my family enjoyed it. 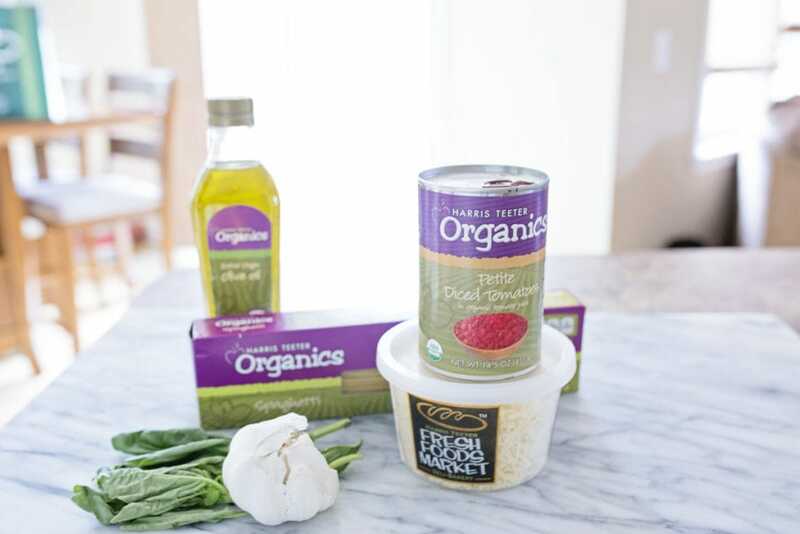 Thank you Harris Teeter Organics for this amazing partnership and I want to hear about your organic easy meal planning adventures are going? 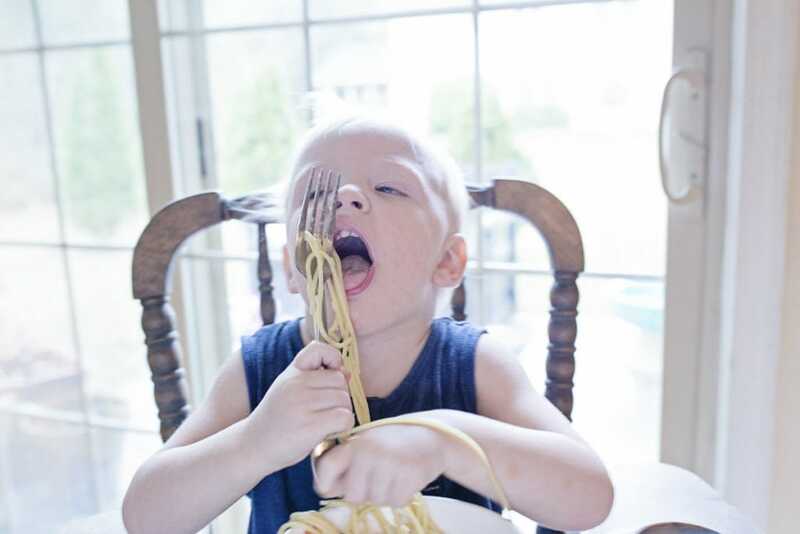 Do you feed your family organic? 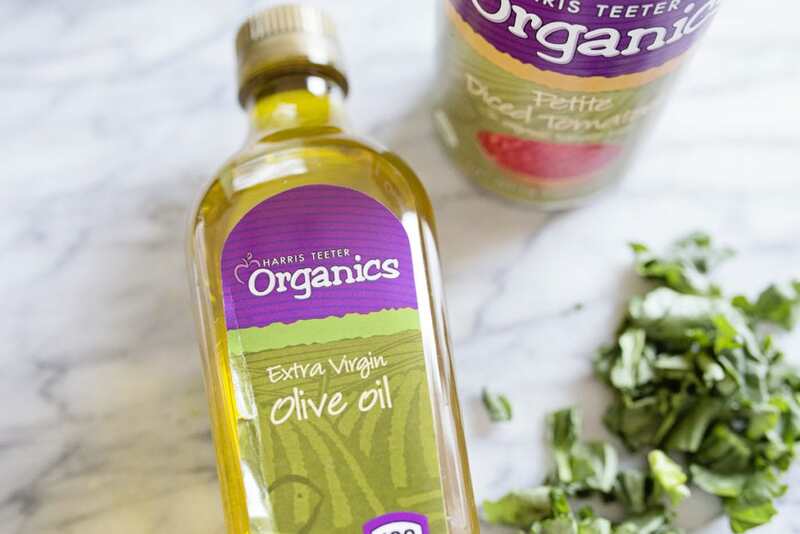 Find Out more about Harris Teeter Organics HERE and find your nearest Harris Teeter HERE.